off select wines, and Thursdays promise $5 glasses of that popular rum punch. You don’t have to come during happy hour to appreciate the Caribbean cuisine and creative cocktails at The Society Lounge. Sit down for dinner and order a round of Caribbean rolls stuffed with jerk chicken or fried macaroni and cheese balls over rosa sauce. 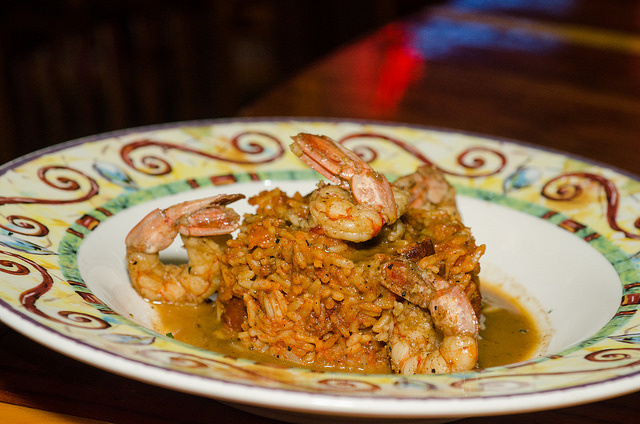 Just make sure that you have enough room for an entree, such as J’s jerk chicken, deep-fried red snapper, or Cajun pasta.